As soon as the 2018 Major League Baseball season began, there was something different about the Boston Red Sox. The Red Sox played with a sense of urgency that we hadn’t seen from in recent years, and before you knew it, they were the best team in baseball. The Red Sox would win a franchise best 108 games en route to winning their third consecutive American League West Title. And after being the team to beat during the regular season, Boston didn’t slow down in the postseason as they went 11-3 to earn their fourth World Series Championship since 2004. The Red Sox were a team of destiny as they refused to be denied their spot in the history books. But now that the entire league has seen them at their best, what will this franchise be able to do for an encore in 2019? Alex Cora is set to begin his second year as the Red Sox as he pushed all of the right buttons in 2018. Cora is a “player’s manager” who allowed his players to police themselves. But now he will have to find a way to get the Red Sox to deal with having a bulls eye on their backs, as well as them avoiding being complacent. A big catalyst for the Red Sox last season was the ability that their lineup had to put stress on opposing pitching staffs. Last season the Sox were first in the American League in runs scored (876), hits (1,509), batting average (.268), on-base percentage (.339) and slugging (453). The Red Sox front office doesn’t get too wrapped up in sabermetrics and analytics as they are one of the few Major League Baseball teams that still employs a true lead-off hitter. And the proof of that is in the pudding. There is not much that Mookie Betts cannot do on the baseball diamond as he is truly the total package. Betts can hit for average, steal bases, provide power at the plate, along with being a solid glove man in the field. And 2018 was a stark reminder that as Betts goes, so do the fortunes of the Red Sox as he was named as the American League MVP after he led the Junior Circuit in batting average (.346), while also belting 32 home runs and stealing 30 bases. By far Betts is the best table setter in baseball, and if he is able to replicate what he did last season, the Sox will once again be tough to defeat. Last year spring training was in full effect before Red Sox president of baseball operations Dave Dombrowski signed outfielder J.D. Martinez, but it was well worth it. Martinez entered last off-season as a hot commodity on the free agency market, and the Sox were able to sign him to a five-year deal for $110 million. And whereas Boston has been burned in the past in free agency, Martinez was able to answer the bell as he led the team in homers with 43, while his 130 runs batted in were tops in the American League. It took some time for Martinez to blossom into a power hitter, but he is now one of the more feared sluggers in Major League Baseball. And even though that Martinez would strike out 146 times last season, he still hits for average as he is a career .292 hitter which helps to make Boston’s lineup one of the toughest in baseball. Aside from the exploits on Betts and Martinez, the Red Sox will once again have one of the more balanced lineups in baseball. After having a down campaign at the plate in 2017, shortstop Xander Bogaerts rebounded for a strong 2018. Bogaerts drove in 103 runs last season, while also hitting 23 home runs. Bogaerts has all of the parameters in place to be one of the best shortstops in baseball, and if can begin to be more of a stolen base threat, it will make one of Major League Baseball’s top offenses even tougher to deal with. In two years with the Red Sox, starting pitcher Chris Sale has been as good as advertised. Sale has won 29 games during his stint with the Red Sox, but more importantly he has never been afraid of the big moment. Sale always wants the ball, while most batters have a hard time picking up on the baseball as he delivers from his lengthy 6’6″ frame. Sale has finished no lower than fifth in the American League Cy Young Award voting in each of the last six years, and he’ll once again be in the mix to take home the hardware. There were some people that were skeptical in 2016 when the Red Sox signed starting pitcher David Price to a seven-year deal for $217 million. Price showed that he could take the ball every day for the Red Sox, but the folks in Boston were going to judge him by what he could or could not do in the month of October. But that would all change last fall when Price went 2-0 with a 1.98 earned run average in three appearances in the Red Sox World Series triumph. Now the Red Sox fans have fully embraced the guy who used to give them problems when he pitched for the Tampa Bay Rays, but more importantly he has his swagger back. And even as Price is now 33 without the same zip on his fastball, don’t expect to fall off due to the fact that he knows how to pitch which means that he’ll be focusing more on locating. Last season starting pitcher Nathan Eovaldi returned from injury to be a vital force for Boston in both the rotation as well as in the bullpen. Once upon a time Eovaldi was a top prospect in the Los Angeles Dodgers system, but injuries derailed his once promising career which relegated him to being a journeyman. However Eovaldi regained his form last year which included him posting a 1.61 earned run average during the postseason last October. Dombrowski saw enough and gave Eovaldi a four-year deal for $68 million as he will be a key piece towards the back of the Boston starting rotation. The Red Sox allowed relief pitcher Craig Kimbrel after he saved 108 games for them in the last three seasons. And subsequently Cora will employ a “closer by committee” as the beginning of the season. However if no reliever is able to establish himself in regards to being “the guy” in the ninth inning, it would surprise to see Boston to reach out to Kimbrel if he is still available. You have to go all the way back to 1916 to find the last time that the Red Sox were able to win consecutive World Series Titles, but as long this current version is able to maintain their hunger from last year, they have everything in place to once again be in the mix. 2018 saw the New York Yankees enjoy one of their finest regular season’s in history, but you would not have known that based on how their season ended. The Yankees won 100 games last season for the first time since their last World Series Title in 2009, but it wasn’t even good enough for them to win their division. The Yankees finished eight games out of first place in the American League East as the Boston Red Sox ran roughshod over the league. This relegated the Yankees to the American League’s Wild Card Game where they were easily able to dispose of the Oakland Athletics, but things would be drastically different for the Bronx Bombers in the divisional round. There the Yankees would run into those same unstoppable Red Sox as they would put New York out of their misery in for games which included a 16-1 beatdown at Yankee Stadium in Game Three. And if that wasn’t enough for the Yankees to digest, they had to watch their arch rivals from Beantown win the World Series for the second time this decade. But even with that the Yankees brass has plenty to look forward to with this club in 2019. New York employed a very young team that was comprised of some young stars that could propel this club to some big things this season. There is no doubt that these current can carry on the moniker as “The Bronx Bombers”. Last season the Yanks set a new Major League Baseball record by launching 267 homers which included 12 players hitting at least 10 home runs. The ring leader of this contingent was outfielder Giancarlo Stanton who didn’t have a struggle in regards to getting adjusted to wearing pinstripes. After blasting 59 home runs in 2017 as a member of the Miami Marlins en route to being named as the National League MVP, Stanton was traded to the Yankees last off-season. Stanton didn’t have that kind of power season at the plate, but he still managed to hit 38 home runs which was tops at the plate as he continues to be one of the game’s most feared sluggers. At 6’6″, Stanton is a mountain of a man who’s thunderous stroke at the plate will put him once in the running to go yards at least 40 times. Stanton’s tag-team partner in the middle of the Yankees lineup is outfielder Aaron Judge. Like Stanton, Judge had a monster 2017 as he belted 52 home runs en route to being named as the American League Rookie of the Year. However injuries limited Judge in 2018 as he only appeared in 112 games, but he is healthy this season, he and Stanton have the ability to combine for at least 80 home runs for the Bronx Bombers. New York will be without both shortstop Didi Gregorius and outfielder Aaron Hicks to start the year as they are recovering from injuries, but this team will still hit a ton with the likes of infielders Gleyber Torres and Miguel Andujar in the mix. Andujar and Torres finished second and third respectively in the American League Rookie of the Year voting last year as they actually took votes away from each other. But each of these youngsters have shown that they can get it done; especially in the clutch which’ll ingratiate them to the fans in New York City. After hitting 33 homers in 2017, catcher Gary Sanchez appeared to be well on his way to being the next big thing. But Sanchez was not smooth for Sanchez as in 89 games he only managed to hit .186. Sanchez has yet to establish himself as a solid catcher and thus it would not surprise me to see the Yanks ultimately switching him to first base. Sanchez can still hit as you don’t blast 33 homers in a season by accident, and if he is able to get off to a fast start here in 2019, you will see the confidence and swagger that he possessed in 2017 return. There is no doubt that the Yankees are going to hit, but will they have enough pitching to carry them to their ultimate goal which is winning another World Series Championship? Starting pitcher Luis Severino won 19 games last season for the Yanks, and is once again expected to have a big impact for their rotation. But Severino will begin this season on the disabled list due to inflammation in his rotator cuff, and what the Yankees are missing in not having him available is a hurler that has reached the 200-strikeout plateau in each of the last two seasons. Veteran starting pitcher CC Sabathia has let it be known that 2019 will be his final go round in Major League Baseball. Sabathia has enjoyed a stellar career that his seen him win an American League Cy Young Award as well as winning a World Series Title with the Yanks. 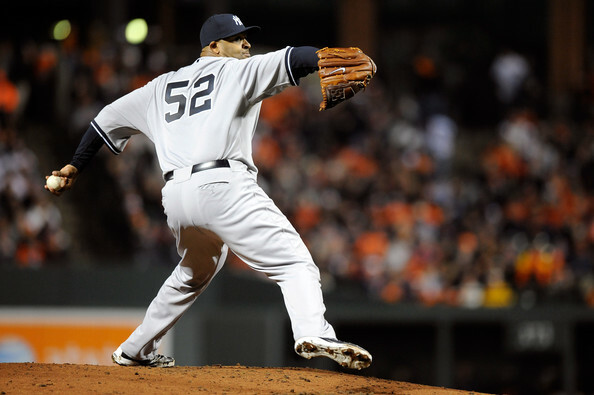 At the age of 38, Sabathia is not the power pitcher that he was earlier in his career, but he knows how to pitch, and that ability as well as him being able to pass along his 18 years of MLB experience to the younger pitchers on the Yankees staff will be valuable. What the Yankees are lacking in starting pitching, they might make up for it with their bullpen due to the live arms that they have. This off-season New York signed relief pitcher Adam Ottavino to team with Dellin Betances and Zach Britton for middle, while relief pitcher Aroldis Chapman still has one of the best fastballs in the game. At 6’4″, Chapman is a big closer who uses his entire frame to consistently generate 100 miles per hour on the radar gun. And although that the fastball is the most common pitch in baseball, most hitters cannot pick it up when he releases it. It will be important for the Yankees to not have a lull this season as they must keep up with the Red Sox in order to win the American League East this year and avoid having to go the wild card route. After making the playoffs in 2015 and 2016, the Toronto Blue Jays have taken a step back which has led their front office to change their mindset heading into the 2019 Major League Baseball season. Under the leadership and their president of baseball operations Mark Shapiro, the Blue Jays are full on into rebuilding mode as the youth movement is in full effect in Toronto. After spending the last four years as a coach with the Tampa Bay Rays, Charlie Montoyo is the new manager of the Jays. Montoyo has never been a manager in Major League Baseball, but Shapiro and Blue Jays general manager Ross Atkins feel that he is the right guy to manage this young team. As Montoyo waits for youngsters such as first baseman Rowdy Tellez and outfielder Billy McKinney to get their feet wet at the Major League level, the Jays are going to have to rely on veterans such as first baseman Justin Smoak to carry this lineup. Smoak only hit .242 last year as Toronto’s lineup was not as deep as it was in the previous year, but he was still able to produce an on-base percentage of .350, while also leading the team in home runs with 25. 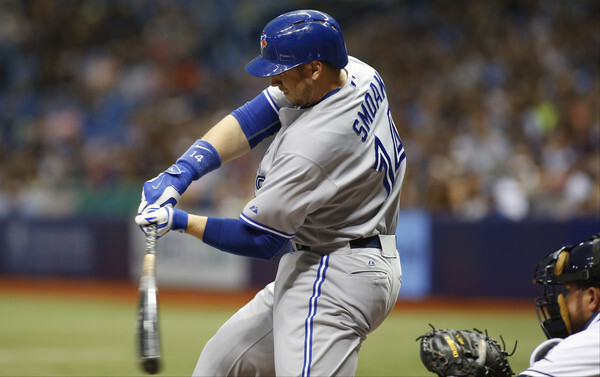 At 6’4″, Smoak has a menacing presence in the batter’s box, and if opposing pitchers make a mistake to him over the plate, or on the inside corner, he has the potential to once again flirt with hitting 30 homers. The Blue Jays offense will be a work in progress, but any chance of this team being competitive will revolve around some semblance of order being brought to their pitching staff. Last year Toronto was 12th in the American League in earned run average (4.85), and last in quality starts with 58. Starting pitcher J.A. Happ led the Jays in wins with only 10, and he would finish the season as a member of the New York Yankees. For Toronto to get their hands on an improved pitching staff, it will start with starting pitchers Aaron Sanchez and Marcus Stroman being able to remain healthy. Stroman was only able to make 19 stars last season, while Sanchez chimed in with 20. Stroman and Sanchez are each power pitchers that need to be available for the Jays, while going deep into games, and winning them. One diamond in the rough for Toronto could be relief pitcher Ken Giles. Giles was a vital part of the Houston Astros World Series Championship team in 2017, but things fell apart for him last season as he lost his ability to close out games. The Astros would subsequently trade Giles to the Jays last where he saved 14 games in 21 appearances, but his 4.12 earned run average was scary. Giles still has one of the best fastball-slider combinations for a closer, and if he is able to get his confidence back, he could once again become one of the top closers in the American League, while also becoming trade bait if the Blue Jays are out of contention. The Jays will begin the season with an easy schedule which includes series’ with the likes of the Detroit Tigers and Baltimore Orioles, and a fast could be just what the doctor ordered as the team will look to gain some traction in order to become a dark horse in the American League playoff race. The small-market Tampa Bay Rays continue to be the overachievers of Major League Baseball. Last year the Rays had the smallest payroll in MLB, but they still managed to win 90 games as the extremely top heavy American League was the only reason that they didn’t get a taste of the postseason. In four years as the manager of the Rays, Kevin Cash has continued to build off of what his predecessor in Tampa Bay (Joe Maddon) started which is a strong focus on sabermetrics, while simply pushing the right buttons to get the most out of his 25-man roster. The Rays will undoubtedly be a long shot to make the playoffs in the 2019, but will be able to surprise their critics with a run towards the postseason? If you’re going to be a competitive small-market team in Major League Baseball, you have to stay on top of your game in regards to drafting and developing talent which is something that the Rays have been consistent in. In 2011, Tampa Bay used a first-round pick on starting pitcher Blake Snell who spent the next several years honing his craft in their minor-league system. By 2016, Snell was ready for the big club, and last year he enjoyed a breakout season which saw him win 21 games en route to earning the American League MVP Award. Snell has a very commanding presence on the mound, while he has one of the best fastballs in the A.L. which is evident by the fact that he racked up 221 strikeouts last season. It will be tough for Snell to once again win 21 games this season for the Rays, but that will not prevent him from being one of the top pitchers in the A.L. The Rays didn’t have the most powerful offense in the American League last season, but it was effective as they were second in on-base percentage (.333), and third in hits (1,415). And although that the Rays don’t have any standout performers in their lineup heading into the new season, it does not mean that will not compete. The Rays don’t have as strong of a roster as they did last season, but they’ll be a tough out for the heavyweights of the American League all season long. The 2018 Major League Baseball season ended before it got started for the Baltimore Orioles. The Orioles would finish the month of April with a record of 8-20 and they would never recover from that slow start as they’d go on to set a franchise record for futility by losing 115 games. As a result of the O’s horrid season, Dan Duquette and Buck Showalter were not retained as general manager and manager respectively as team owner Peter Angelos decided that it was time for his club to go in a newer and cheaper direction. Angelos decided to replace Duquette with Mike Elias. Elias does not have any prior general manager experience, but he has worked in the front offices of both the St. Louis Cardinals and Houston Astros. And Angelos has full faith in Elias as he acknowledges that Baltimore’s turnaround will not be a quick one. Elias’ first move was to hire Brandon Hyde as the new manager of the Orioles. In 2011, Hyde served as the interim manager of the Florida Marlins, while he spent the last six years as a coach for the Chicago Cubs. Elias is hopeful that Hyde can bring some of the winning formula that the Cubs had to the O’s as he will be managing a team in Baltimore that’ll be very green. When the Orioles take field on Opening Day, they will be one of the youngest teams in Major League Baseball as only two position players on the 25-man roster are more than 30-years of age. Outfielder Cedric Mullins made his MLB debut last August, and in 45 games with Baltimore, he batted .235 with an on-base percentage. After being drafted by the Orioles in 2015, Mullins worked his way through their system, and he is viewed as building block for this franchise due to his speed and ability to get on base. And the improvement of Mullins as well as other players in the Orioles lineup such as utility man Trey Mancini who led Baltimore in home runs last season with 24 will be important as this club was last in the American League in 2018 in runs scored (622), batting average (.239), and on-base percentage (.298). In a perfect world the O’s would be able to trade veteran designated hitter Chris Davis as they are in the midst of a rebuild, but the chances of that happening are slim to none. Davis built his reputation around Major League Baseball as being a slugger, but recently he has been far from that. In both 2013 and 2015, Davis led the American League in homers. However last season Davis only managed to launch 16 in 522 plate appearances. Davis has always been prone to striking out as he’s averaged 212 for his 11-year MLB career, while he only managed to hit .168 last season. Davis just turned 33-years of age this month, and as he is still owed $92 million by the O’s over the next four years, at some point I expect the team to pay him to stay home as trading him will be extremely difficult. Aside from the Orioles having offensive woes last season, Elias and Hyde must also fix the team’s pitching staff. Last year the O’s team earned run average of 5.18 was the worst in the American League while they were also only able to produce 59 quality starts. Starting pitcher Dylan Bundy led the staff in victories with just 8 which is not much to build off of, nor does it gives the fans in Baltimore that much to look forward to in 2019. If you thought that 2018 was bad for the Orioles, just wait until the 2019 season gets underway as this team got really bad in a hurry, while they are nowhere close to turning this around.